A long time ago in a galaxy far, far away a friend of mine once referred to my brain as "Cotton Candy With A Door". Never have been quite sure if this is a compliment or not. 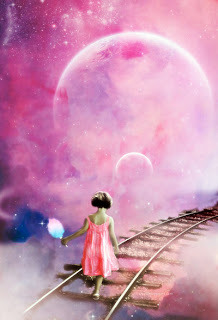 I prefer to think of it more as a place of whimsy, color and filled with childlike wonder and a door to Anywhere. Then again, he may have been saying that inside my mind is all sugary fluff devoid of any nutritional value. Anyway, the other day said mind was filled with too many ideas and not enough time to siphon it off. I made a comment on my Facebook about this and the old conversation began... "if only I could just plug in a USB drive to my brain and download it all there and it would all show up fully formed in the Word document." That idea makes me wonder... if that was possible, would a computer program be able to take the amorphous chaos, thoughts, colors, sensations, emotions and words in my head, smack them all together with ones and zeroes and produce something that did justice to the raw germ inside my head? What would it look like? How would a machine realize the way my brain thinks? I tried to think this out a bit... if I could actually plug a thumb drive into my head and download one of my stories, how would the computer translate it? Would there be words or pictures? I've heard that some people think in words when they write...that in their mind they see the letters building words to tell their story on a blank piece of paper. That's not me. I think in a full on cinematic experience with Dolby Surround Sound. Settings might be lush with detail while others might be generic. My characters range from specific, already cast with a particular actor or actress in mind while others are more vague. They have voices that I hear as if they're over my shoulder. Marius, for example. He's got the same voice as an actor from Babylon 5. Physically he resembles him, but really Marius looks like Marius. So, if we were trying to download Marius out of a rough draft, I can't help but think we'd see a movie of sorts. A set of scenes that haven't gone through post-production yet. Some things still have green screen behind them and piss poor audio. Maybe we've got animated story boards with audio files at the bottom. Maybe it wouldn't be much different than the way I've tried to organize my chaos on the computer. I've got a file folder for the series. In that I've got a folder for each book, another for companion pieces, a folder for "casting" where I keep pictures that just capture a character. The casting folder also has maps and locations that I'm using for various scenes (because I'm a stickler for detail and if I say we're going to a specific hotel, I want to describe the rooms there as they are in reality). On my iTunes I've made a playlist of songs that would be on the soundtrack, audio interviews with people who have voices similar to the characters and songs that are just evocative. (If you really want to know, my C# playlist includes a lot of Red Hot Chili Peppers, Muse and Daft Punk.) Then there's the stuff that's written. Outlines, scene sketches, novels, short stories. Words and words and words. All of these things are reins to try to keep the chaos of my thoughts under control. And that's what we do as artists, isn't it? Musicians, painters, sculptors, writers, dancers...we're all trying to do something insane and difficult. We're trying to take the immaterial in our minds and express it in a way that does those thoughts justice. We're trying to sculpt ether into reality for others to see what we see, how we see. I try to tell you a story not just in words, but with every sensation so you can experience it the way I do. And I know you won't. 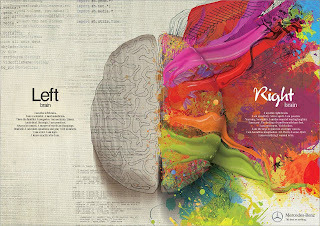 Because your mind works differently. Your Marius and my Marius may look nothing alike. Hell, I know there are some books that I've read where the character's voice makes me think something entirely different than the author has described. But we try, we fools. We try to spin our dreams and songs and stories into thread and embroider this life with some physical representation. We want you to see. As often as I joke that it would be nice to download this book and just skip to the editing, I don't think a computer program could do that. Besides, organic creation...writing from start to finish and digging into the fertile brain-soil...that's magical. So, I put the thumb drive aside and close Word for a while. 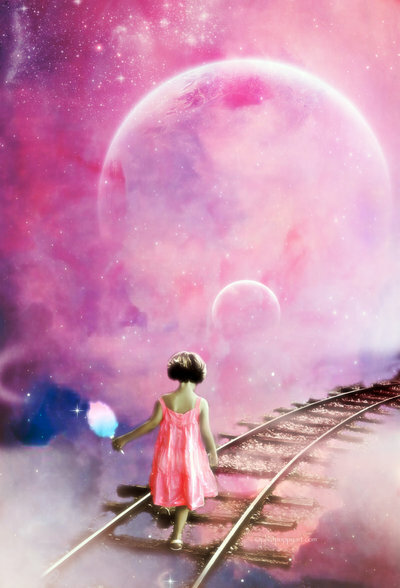 I take a pen, a notebook and stride into the fluff of cotton candy. Then I open the door.